The York soft ankle and wrist weights 2 x 1kg (2.2lbs) are excellent training tools as they add extra intensity to the workout, which leads to better performance. These soft and comfortable weights are perfect for burning calories, enhancing cardiovascular strength and making the heart and lungs work harder. They can also be used during everyday activities. The weights are suitable for home usage and are great for strengthening arms and legs. In addition, they can be easily adjusted to ensure a secure and comfortable fit. for submitting product information about York Soft Ankle and Wrist Weights 2 x 1kg We aim to answer all questions within 2-3 days. for submitting product information about York Soft Ankle and Wrist Weights 2 x 1kg. We aim to answer all questions within 2-3 days. If you provided your name and email address, we will email you as soon as the answer is published. Good quality and comfortable. Arrived next day. No complaints at all. I bought these as my trainer said they would help with my explosiveness in my plyometric training. So far so good definitely noticed an improvement. They're nice and comfortable even after working up a sweat so highly recommended. I train 3-4 times a week for muay thai and these are perfect for building strength and power in my wrists and ankles. Absolutely love them. 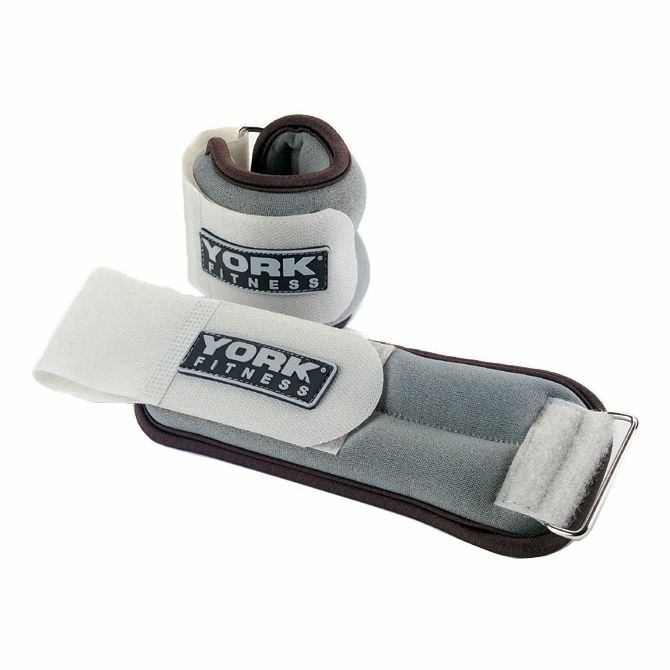 for submitting product review about York Soft Ankle and Wrist Weights 2 x 1kg.